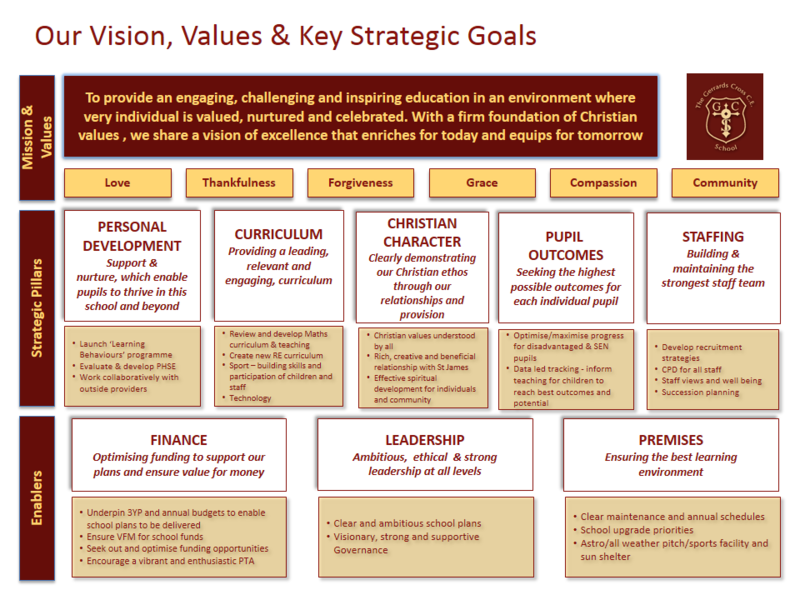 One of the statutory functions of our Governing Body is to set the strategic aims and objectives for the school. In 2018 each of the Governing Body committees considered their aims for the next five years. The graphic below shows the three ‘enablers’ and the five ‘pillars’ of planned development; together they describe the key areas of work which will enable the school to continue to provide the distinctive and excellent education which is described in our Mission Statement.